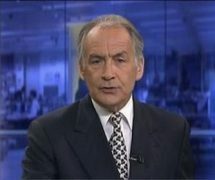 After more than 30 years reading the news for ITV News, Britain’s most familiar broadcaster has now signed off News At Ten for the last time. 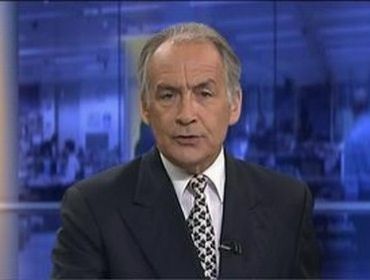 However, Alastair Stewart will remain at ITV News, but he will now present his new role as anchor of the Lunch Time news at 1:30pm. – And former political editor for ITV, Tom Bradby, will now anchor the revamped News At Ten. The ‘shake up’ hopes to attract more viewers to ITV. Tom Bradby now competes with the Welsh legend, Huw Edwards, who presents BBC News At Ten. What do I think so far of ITV’s new line-up? – It’s good so far, however I would prefer former News At Ten presenters, Mark Austin and Julie Etchingham. 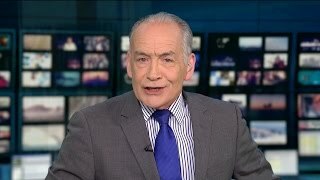 However, I did enjoy the very interesting report on the migrant crisis on News At Ten on Monday night. It’s fair to say I love my news! At the end of Alastair’s final programme on Friday (9th October 2015), the closing was very sad, the closing music changing to a more sombre pitch. A fitting farewell to the best newsreader in the UK!